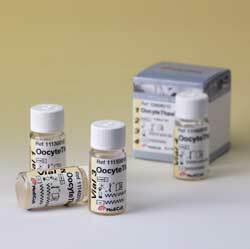 OocyteThaw is for thawing of frozen oocytes using OocyteFreeze (Cat. No. 1048). 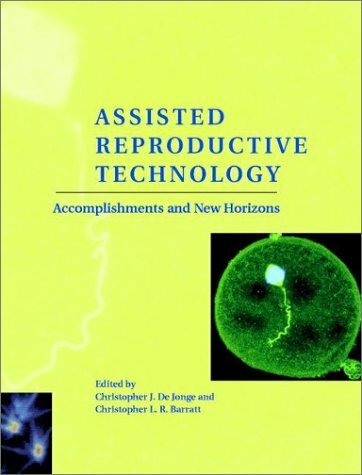 Cryopreservation of surplus oocytes serves to augment the success of assisted conception treatments for infertile couples. Storage of oocytes has clear advantages, especially for young women undergoing oophorectomy or receiving chemotherapy. One of the pioneers in this field, Dr. Raffaella Fabbri, has developed and tested formulations containing varying concentrations of sucrose together with a slow freezing procedure. The results of these clinical trials were published by R. Fabbri et al., 2001 and showed survival rates as high as 82%. OocyteThaw is supplied as ready-to-use solutions prepared with 1,2-propanediol and sucrose, designed for thawing human oocytes frozen using OocyteFreeze. The procedure follows the 4-step thawing protocol according to Dr. Fabbri. OocyteFreeze and OocyteThaw have been tested by Dr. Fabbri at the IVF centre, University of Bologna, Italy and shows survival rates at the same level as reported in the published study (Fabbri, 2001, Private Communication).